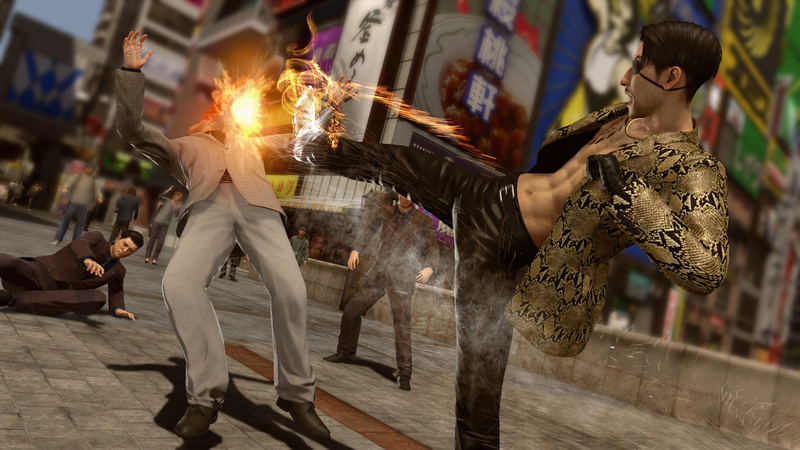 [Update: It's official: Yakuza Kiwami 2 for PC will release on Steam on May 9, 2019. Sega is up to its old tricks again and I couldn't be happier. Following the release of Yakuza 0 and Yakuza Kiwami on PC, the company has begun teasing Yakuza Kiwami 2 for Steam. On the publisher's landing page, Sega's regular avatar was not-so-subtly swapped out for an image of Majima's eye patch. And if that's not enough to go on (which, judging from Sega's past shenanigans, it totally is), the ESRB recently listed Yakuza Kiwami 2 for PC. Speaking of which, I always get a kick out of these content-warning summaries. Here are a couple of excerpts to sum up (part of) the wider Yakuza experience. Another ESRB description: "During the course of the game, Kazuma can order and drink alcoholic beverages at various bars: players are rewarded for drinking in the form of experience points; a status icon denotes character's level of intoxication, while his movement becomes harder to control." It only takes one game to become hooked on the long-running Yakuza series and, at that point, it's just a matter of slowly but surely chipping away at the intimidating list. I'm actually midway through Yakuza Kiwami 2 right now. As a relative newcomer, I don't think there's any topping Yakuza 0 (the Majima storyline was so enthralling), but I'm enjoying this romp far more than the first Yakuza Kiwami. A random news post like this isn't going to move the needle, but consider trying these games. There's something magical about a series that lets you grow old with a city and its eccentric inhabitants.